In 1777, the revolutionary army led by George Washington endured a tough winter in what is now Valley Forge State Park, Pennsylvania. The struggling army survived and ultimately triumphed, paving the way for establishing the United States of America. But 200 million years ago, the park had a different history. 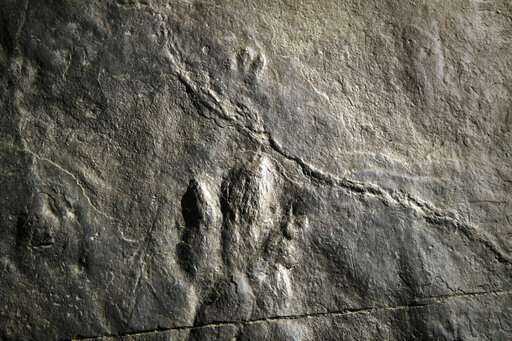 Dozens of fossilized dinosaur footprints were discovered on rocks used to pave a section of the hiking trail. Look at them passingly and you might mistake them for a weird rock pattern — and for the longest time, that’s what happened. The traces were discovered by a volunteer at the park in rock slabs which were purchased from a nearby quarry. Joggers, hikers, and dogs walked by them for years without ever noticing. The footprints are so-called trace fossils: impressions made on the substrate by an organism. Essentially, dinosaurs left footprints on soft and wet mud. The footprints were quickly covered by sediment, which solidified and hardened before the footprints were eliminated by erosion. This sediment was finally buried by even more sediment, which helped further preserve the imprints. 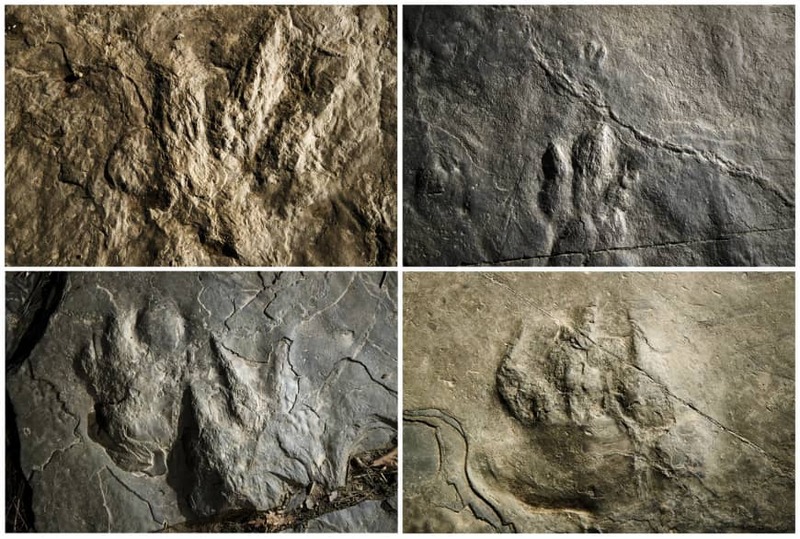 The footprints were dated to 210 million years ago, the early days of the dinosaurs — more than 100 million years before the infamous T-Rex even roamed the land. 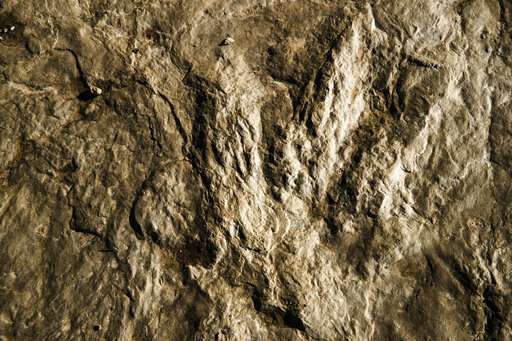 The footprints belong to three-toed dinosaurs, as well as a non-dinosaur reptile, a relative of the modern crocodile. The largest would have been a bipedal theropod that was 6 (1.8 meters) to 9 feet (2.7 meters) long and 4 (1.2 meters) to 6 feet (1.8 meters) high. While researchers suspect that they don’t really add much scientific information to the existing body of knowledge about this group of dinosaurs, it’s still really cool to be able to visit an area which was literally roamed by the dinosaurs — and the fossils are excellently preserved. However, in order to protect these footprints, the National Park Service has decided to not disclose their exact location — so if you want to find them, you’ll have to explore the Valley Forge Park yourself!